Athensmade delivers value to the entire Athens community through the following eight programs, which facilitate the much-needed connectivity, visibility and access to existing entrepreneur educational resources. All of our programs are open to the public, with the exception of the business mentorship program and three of our four Meet the Athens Maker events, which are only available to Athensmade members. For our public programs that do have a fee, the fees are minimal, which is important in keeping our programs accessible to the entire community. Purpose: To educate local businesses and startups on topics of interest, such as social media or hiring interns. Overview: Our Lab Series is an annual series that engages local and regional entrepreneurs in expert knowledge sharing. Purpose: To provide local businesses with local business mentors. Overview: Through our 12-month mentor program, Athensmade facilitates monthly mentor meet-ups for 30 local entrepreneurs (15 mentees + 15 mentors). The main goal of mentorship for those 30 entrepreneurs enrolled in the program is to gain or give information on how to stay & grow their businesses in Athens, Ga. This grassroots business retention & expansion program engages 15 experienced entrepreneurs in personalized expert knowledge sharing. Fee: Available for members only. Purpose: To help local businesses find the resources to grow and stay. 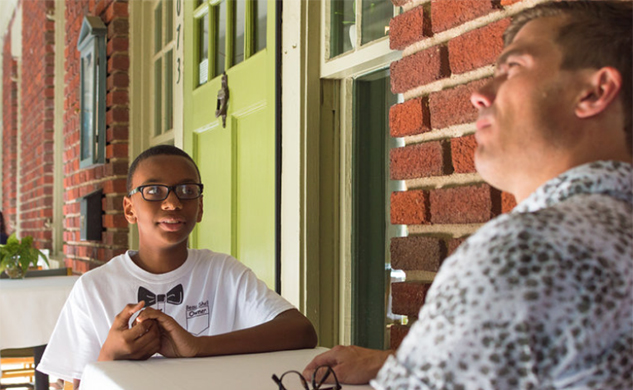 Overview: Our professional consultations connect at least 50 local businesses, including five local businesses owned & operated by high-schoolers, with personalized services and information they need in order to stay & grow in Athens. Athensmade also serves an additional 12 businesses with fundraising coaching. Purpose: To encourage civic engagement at the K-12 and postsecondary levels to help us inspire our youth to find passion in life and also to simply know more about local enterprise. Overview: Our goal is to introduce 25 entrepreneur speakers into classrooms for expert knowledge sharing in Clarke County & other area k-12 and post-secondary classrooms. With each classroom having an average of 25 kids/class, the impact of this program in its first year will be to reach 625 students with the message of local enterprise and the opportunity to find purpose & passion in life after school. This program will also engage 25 entrepreneur speakers in understanding and investing in our area schools. Purpose: To tell the stories of successful, nationally known individuals that were shaped by Athens. Overview: Every year, Eyes on Athens, which is an Athens-based event, introduces two nationally known individuals who were shaped by Athens to a local, regional & national audience. Purpose: To expose local artisans to our community. Overview: Through four events/year,Meet the Athens Maker introduces four Athensmade brands to local & regional audiences with an intimate in-person experience and tours of maker-spaces. Fee: Annual Maker of the Year event is open to the public & free for all. Other three events/year are members only. Purpose: A weekly event that brings together entrepreneurs and the Athens community over coffee and conversations. Overview: 1 Million Cups educates, engages and connects Athens, Ga entrepreneurs, students and community leaders in-person each week. 1 Million Cups also gives the opportunity to connect entrepreneur speakers with a global platform via weekly recorded presentations hosted on 1millioncups.com/Athens. 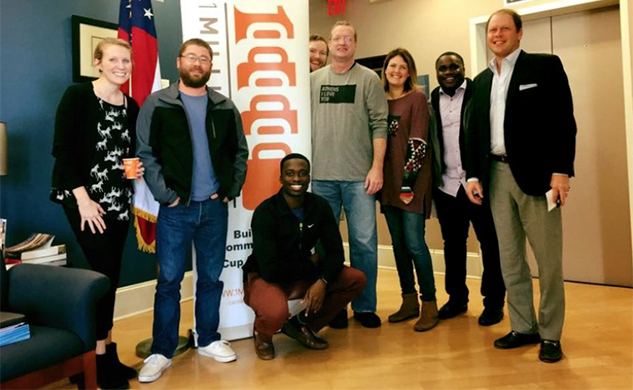 1 Million Cups in Athens, Ga is hosted in partnership with the Kauffman Foundation, Athensmade, Four Athens, Athens-Clarke County Economic Development Department, Athens Area Community Foundation, UGA’s Society of Entrepreneurs & the UGA Entrepreneurship Program. Purpose: To tell the stories of success in Athens. Overview: Athensmade’s quality storytelling of Athens’ entrepreneur engages Athensmade artisans, inventors, business and thought leaders in expert knowledge sharing. These conversations are shared with a local, regional & national audience through focused social marketing with the intention to inform a national audience about the world-class creative achievements happening in Athens so that we may attract more people to do business in the classic city. In FY19 we will curate 24 interviews for our storytelling program.